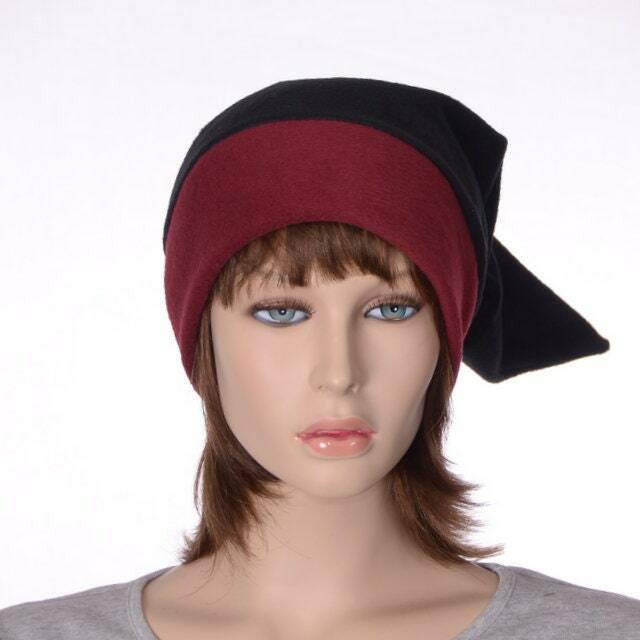 Elf hat made in black fleece with a Burgundy headband. 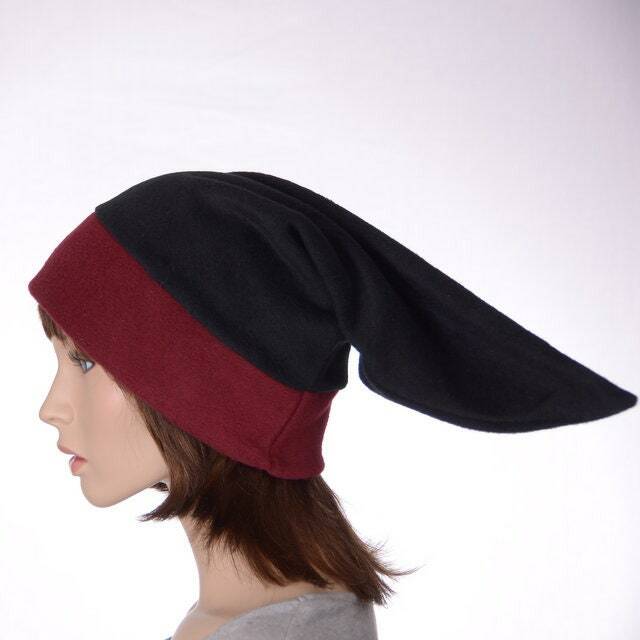 Pointed hat with double thick black headband, measuring about 23 inches long. This style is very popular and can be made in just about any color. 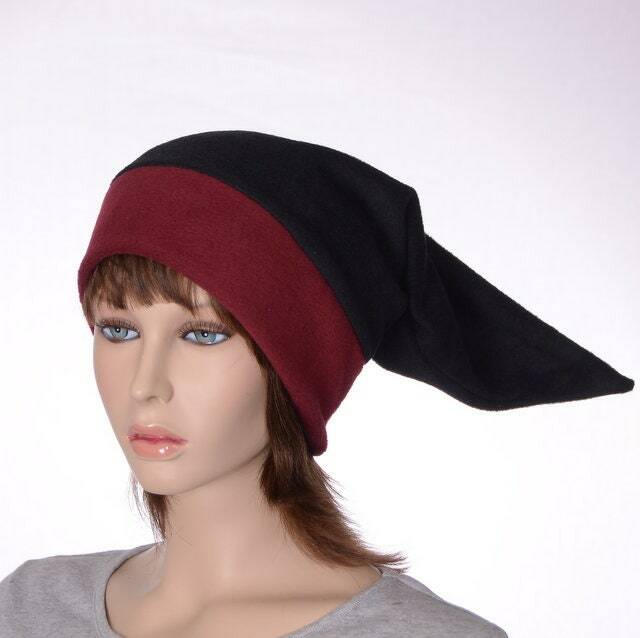 Perfect for a dwarf or elf costume or for just regular warm winter wear. Fits heads from 22-24 inches.